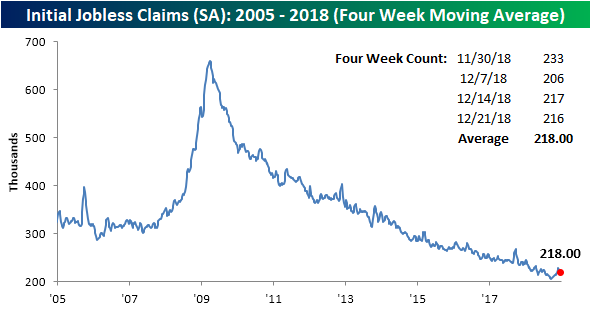 This week’s initial jobless claims data came in without any surprises and little changed after some large movements only a few weeks ago. Claims came in this week at a seasonally adjusted 216K, down 1k from a revised 217K for the prior week. This is right in line with consensus economist expectations for 216K. 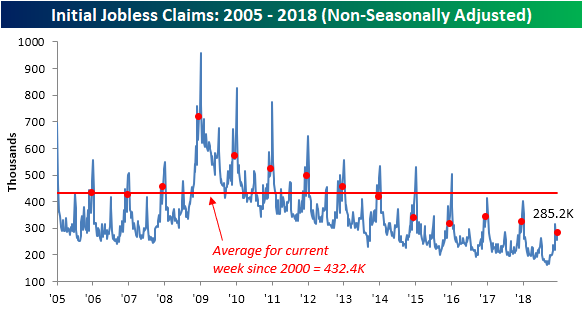 This week marks the 64th week in a row that claims have come in at or below 250K. The indicator is also closing in on 200 weeks in a row of coming in below 300K. This week is the 199th week below that level. It should have no problem hitting that milestone this time next week. With the elevated levels from late November now rolling off, the four-week moving average ticked down this week to 218K from 222K last week. 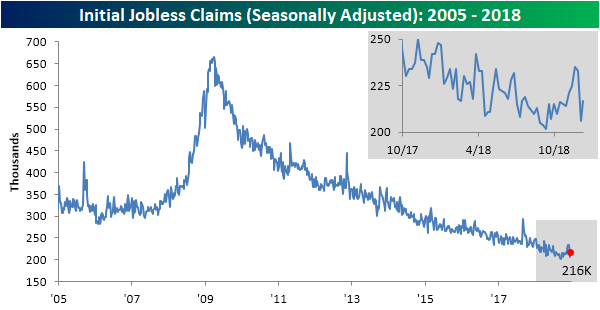 Claims came in higher on a non-seasonally adjusted basis at 285.2K; roughly a 30K increase from last week. This increase is not of any concern seeing as it is entirely in line with seasonal patterns. This week’s non-seasonally adjusted print of 285.2k is the lowest for this specific week of the year since at least 2000.